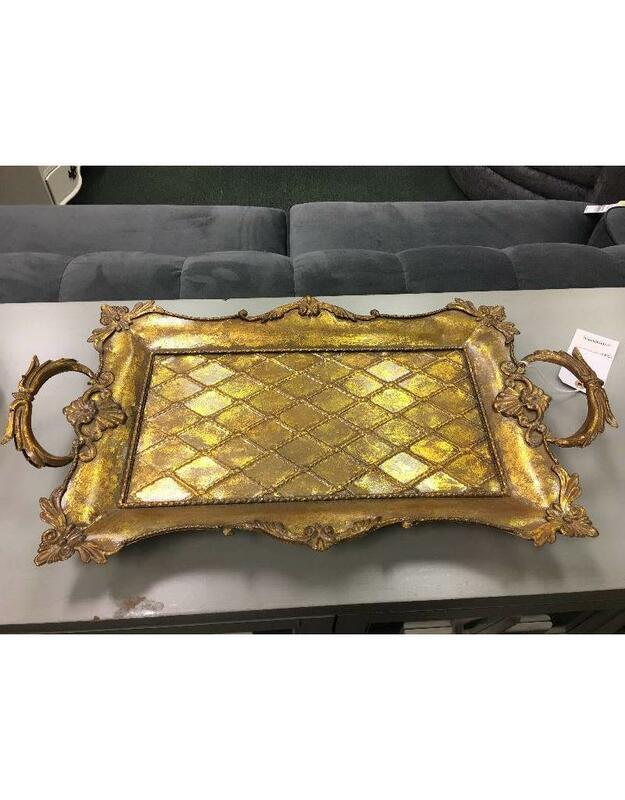 Brand new light weight tray inspired by vintage design. 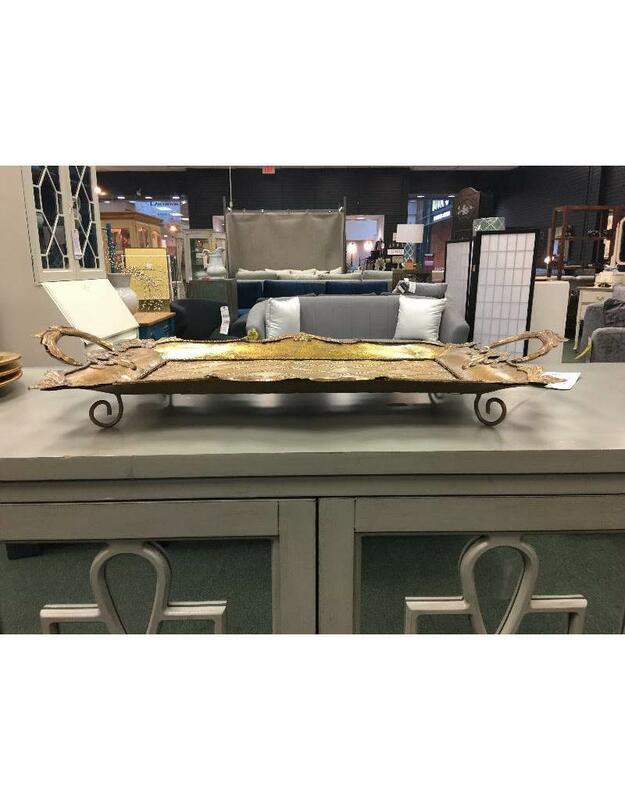 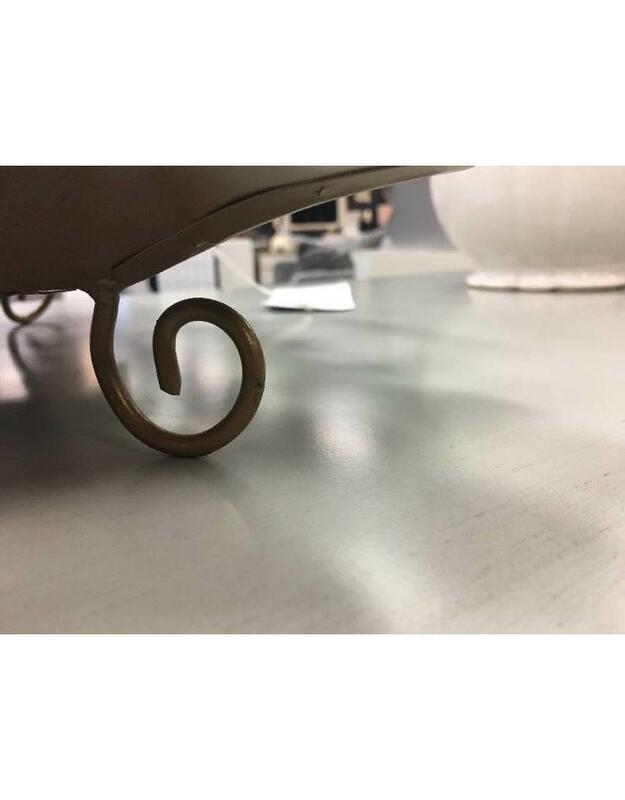 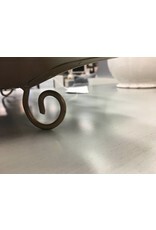 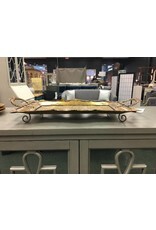 Perfect to add to the top of a large ottoman to transform its function into a table. 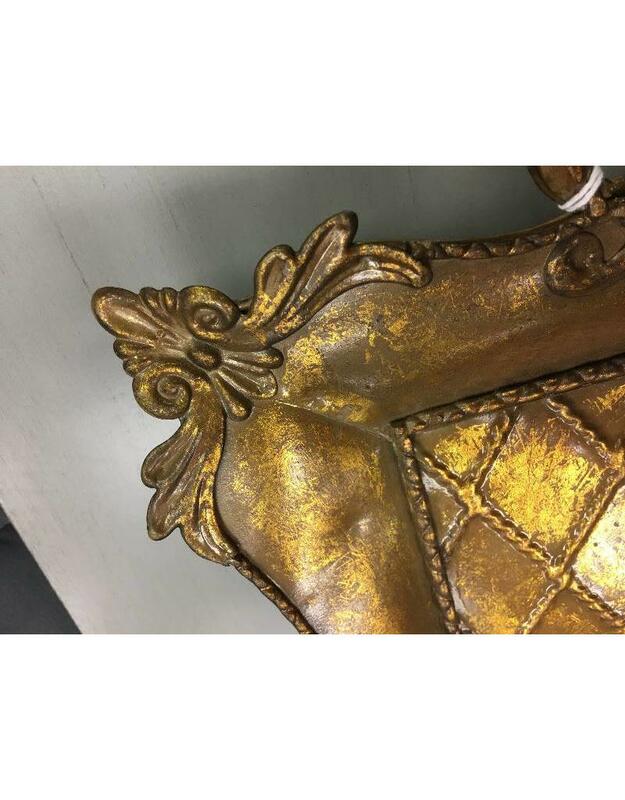 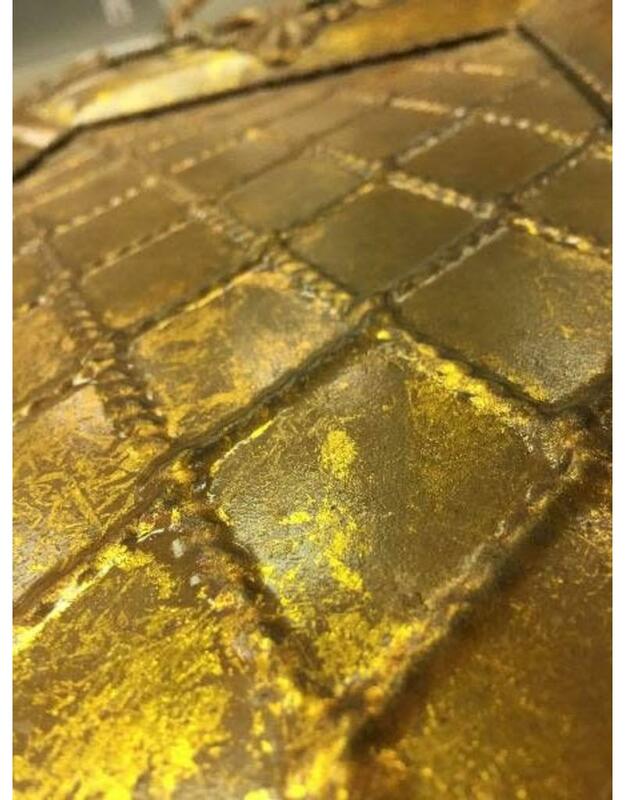 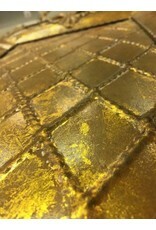 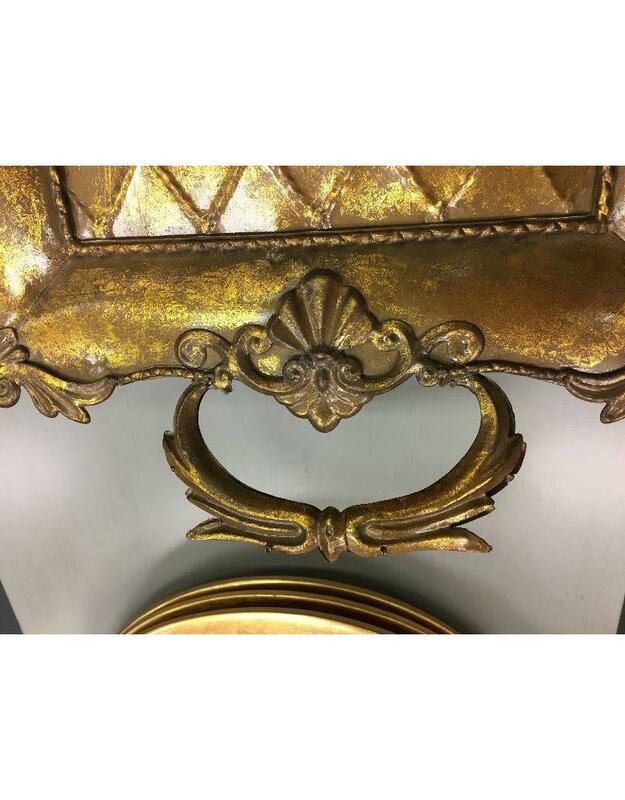 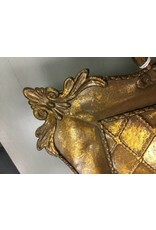 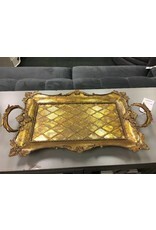 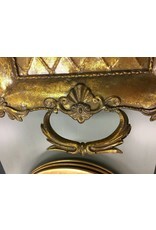 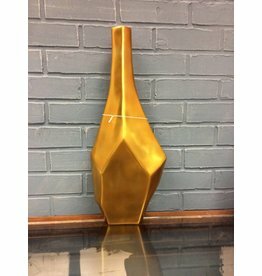 Painted a shimmering gold to add a bit of glam to your decor. 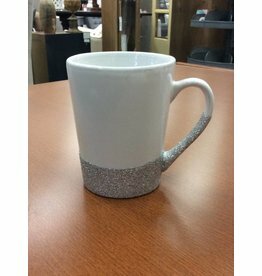 Brand new, white ceramic coffee mug with either silver or gold glitter.